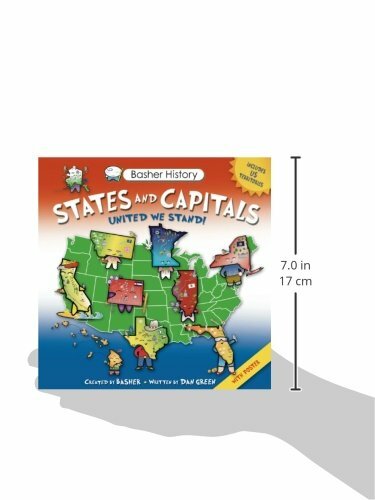 Basher History: States and Capitals is the follow-up title to the bestselling Basher History: U.S. Presidents. This unique and comprehensive guide to 50 states (plus DC and the six territories) presents each state in the hip Basher fashion. 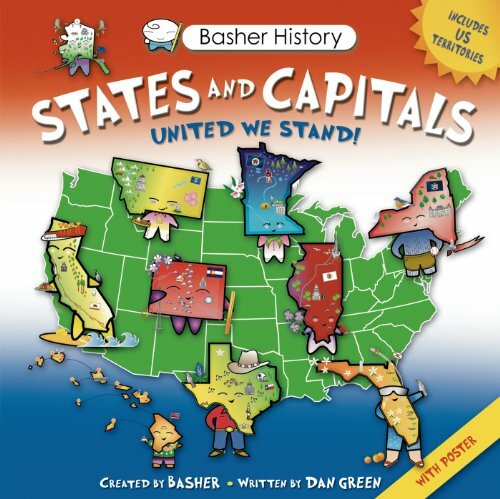 Who better than Basher to give each state a face, voice, and personality and to give kids a fun, unusual but really information-packed gazetteer of their country. From Alabama to Wyoming, and everywhere in between, each state boasts about why it is special, dishes fun facts not found elsewhere, and waxes poetics about its motto, state bird, flag, state flower, and more! Find out how Connecticut got to be called the Provision State, why Georgia is nuts about nuts and why Illinois is called the Land of Lincoln.